This time of year is when people practically start throwing sweets at you, and it can be hard to maintain your health. That combined with the shorter days, and your energy can quickly get scared off! Here are some candy free Halloween treats that make great alternatives to the traditional Halloween snack. Sure, most kids go wild for candy, but there are lots of other things that will make them just as excited. If you’re a parent to young children, you know how much they love those little clementines. Consider handing out one or two to the trick or treaters at your door. To make things even more fun and festive, use a black sharpie to draw jack-o’-lantern faces on them! There are lots of ways to make the food at your party spooky but not sugary. Pretty much everyone loves macaroni and cheese, so give it a slimy twist by turning it green! You can even make some festive deviled eggs. Or, if you want to mix things up, have a Halloween party in the morning and serve Halloween inspired parfaits. 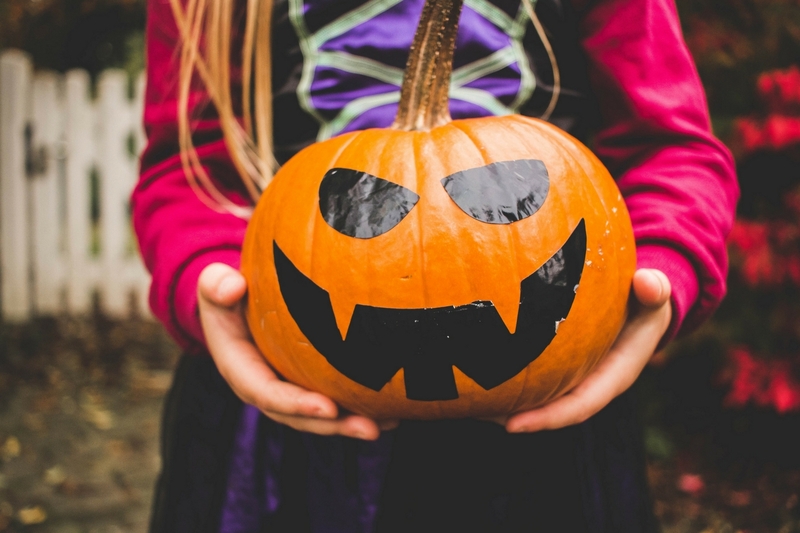 If you child is having a classroom Halloween party, or if you simply like to spread the Halloween spirit, it’s not hard to avoid candy and sugary treats. Simply take some small boxes of raisins and wrap them in masking tape and stick on a couple googly eyes- you have Mummy raisins! Kids love raisins because they are naturally sweet, and raisins dressed up in a Halloween costume will make them even more motivated to make healthy choices. You can also try it with apples! Halloween office parties can be hit or miss, so bring a dish that will make your coworkers do the monster mash. If you want to bring something sweet but avoid the sugar high (and the calories), try a Dia de Los Muertos skull head made out of yogurt and fruit, or these Paleo Pumpkin Muffins. You can also make a Dia de Los Muertos skull head out of hummus and colorful veggies! If you have kids, you might find Halloween candy all over your house. It’s so tempting not to lock yourself in the bathroom with your kids’ trick or treating loot! Make these Pumpkin Energy Balls instead. They will fill your sweet craving, fill up your tummy, and keep you full of energy so that you don’t even give that candy a second glance! If you can’t have candy for dinner, this might be the next best thing. Cutting vegetables into Halloween shapes will definitely grab your kids’ attention, and hopefully motivate them to ingest them as quick as candy! In fact, maybe we should be cutting vegetables into exciting shapes all year round- even adults have to smile when they see a jack-o’-lantern sweet potato grinning back at them. 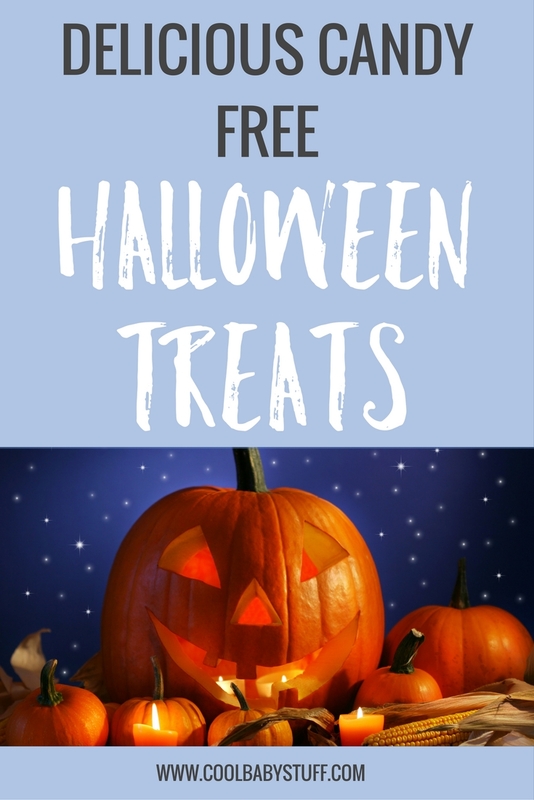 Enjoy these candy free Halloween treats! Jenna Lombardi currently lives in Atlanta, Georgia with her husband, Andrew, and their two children, Aaron and Clare. She loves to travel (even with kids! ), find a good bargain, and enjoys an iced chai latte with soy milk every now and then. When she’s not wrangling the kids at the playground or the zoo, she can be found practicing hand lettering, reading about pregnancy and natural childbirth, or testing out a new recipe in the kitchen.